Mean Girls meets Lord of the Flies in this YA contemporary fantasy. The Castaway Carnival: fun, mysterious, dangerous. Renowned for its infamous corn maze… and the kids who go missing in it. When Olive runs into the maze, she wakes up on an isolated and undetectable island where a decades-long war between two factions of rival teens is in full swing. Trapped, Olive must slowly attempt to win each of her new comrades’ hearts as Will—their mysterious, stoically quiet, and handsome leader—steals hers. Olive is only sure about one thing: her troop consists of the good guys, and she’ll do whatever it takes to help them win the war and get back home. But victory may require more betrayal, sacrifice, and heartbreak than she’s ready for. Olive has been the victim of constant bullying at school. Very early on, there is a scene in the girls’ loos where Olive is being assaulted by the bullies and it was so disgusting I had to force myself to continue reading. Soon after, at the local carnival, one of the bullies chases Olive through a maze and she winds up going from a corn field in Texas to a tropical island in the blink of an eye. The mystical doorway which sent Olive to the beautiful island has disappeared and she is stuck. She meets Will and his gang, the Lions, and they take her in. She soon learns they are not the only group on the island and that another group of kids, Duke's Panthers, wants to take over. I confess the truth of the history of Duke and Will's feud was no surprise when it was eventually revealed, nor was how the story turned out, but that might just be a function of my age and the amount of books I read. Even though I found the story predictable, I still had a fun time reading and following Olive's journey and it even had me in tears towards the end. 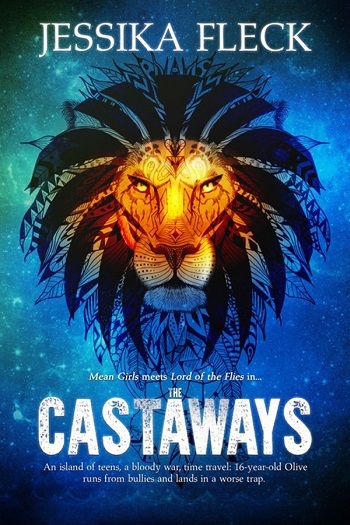 Castaways is a good modern twist on Lord of the Flies (which I hated). I think today's teens would be able to relate to Castaways. 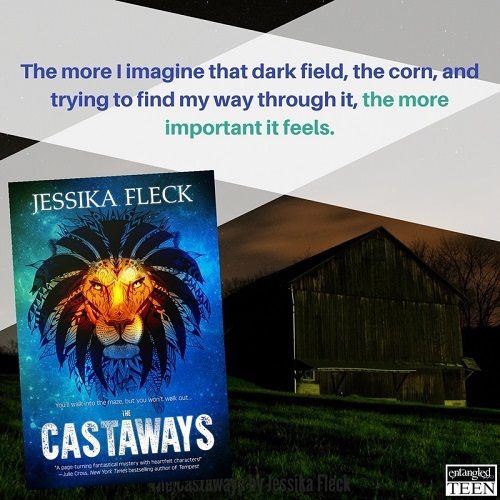 Jessika Fleck is a writer, unapologetic coffee drinker, and knitter—she sincerely hopes to one day discover a way to do all three at once. She loves writing novels for young adults and her work verges on fantastical and dark with a touch of realism. She currently calls rural Illinois home where she lives with her sociology professor husband and two daughters and is learning to appreciate the beauty in cornfields and terrifyingly large cicadas. 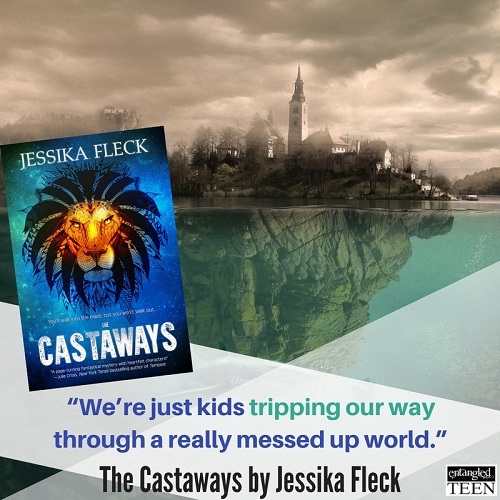 Reviewers on the Wicked Reads Review Team were provided a free copy of The Castaways by Jessika Fleck to read and review.